Grisha Stewart MA, CPDT-KA, KPACTP will be teaching two entertaining and useful dog seminars in Seattle: a Friday evening Teamwork seminar on building a cooperative relationship with your dog and the 2 day BAT seminar on this page. Attend both and get a free book at the seminar! Grisha is an author, international speaker, and dog trainer who specializes in dog reactivity. She developed Behavior Adjustment Training (BAT) to boost dogs' confidence and social skills. Because of its elegant simplicity and effectiveness in rehabilitating reactivity, this dog-friendly method has spread quickly throughout the world. 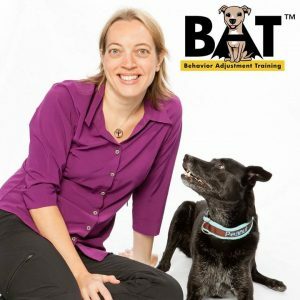 The 2-day BAT seminar “Empowered Socialization: Behavior Adjustment Training for Dog Aggression, Frustration, and Fear” is a thorough introduction to the BAT 2.0 technique. You will learn force-free, empowering methods to address reactive dog behavior, including as barking, jumping, lunging, biting, pulling on leash, or running away. The seminar is open to anyone wishing to build better relationships and foster two-way communication with the animals in their lives, whether you are a nonprofessional dog owner, or a professional animal behaviorist, animal rescuer, dog trainer, or veterinary staff member. Topics include: Fear acquisition, aggression and reactivity to people and dogs, leash walking skills, frustrated greetings, body handling, puppy socialization, preventing aggression. She founded the award-winning Ahimsa Dog Training in Seattle in 2003 and ran it for a dozen successful years before selling it to move out of state. Her first career as a theoretical mathematician and college instructor serves her well in dog training and behavior consultations, because she relies heavily on the problem solving, critical thinking, and teaching skills she gained in that field. Over the last 15 years as a professional dog trainer, she has found her canine and human students to be much more excited about learning than her college students! Canine behavior fascinates Grisha and she is highly motivated to help improve our techniques for rehabilitating and training dogs. Her professional interest in dog reactivity, along with the need to find an efficient rehabilitation technique that would work with her own dog's fear issues, led Grisha to develop BAT. Click here for a full biography. 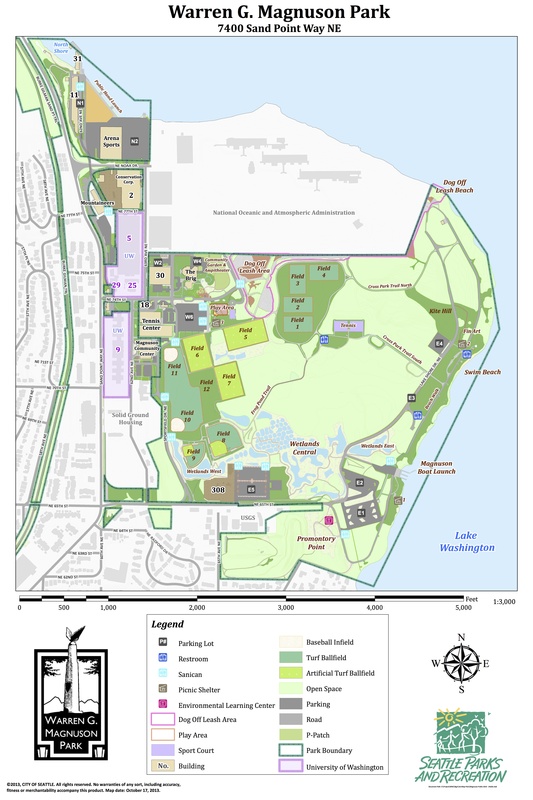 This seminar is in the Garden Room at the Brig building (30) at Magnuson Park in Seattle. 10-5 on Saturday and 10-4 on Sunday, doors open at 9:30 both days. Click the address below for travel details. Registration is for both days. If you can only come one day, please see if someone else wants to take that day in your place. If you also want to come to the evening Teamwork seminar, please register here. If you attend both seminars, you can choose a free book! Ahimsa manual or BAT book (choose at the seminar, or contact us after you register if you want an ebook instead). Well-socialized dogs who are comfortable being at a seminar may attend, although Grisha will not have exercises for the dogs and there will be some training exercises to do without your dog. The floor is slippery linoleum. Bring a crate, water bowl, treats entertainment, etc. for your dog and be prepared to take your dog home if s/he is not comfortable. Dogs will not be allowed to stay in cars. Registration is per person. All people attending must register individually. We will have a list, there are no tickets. If for some reason we don't have you on the list, you can always log in with your mobile device and show your name on this page as proof of purchase. Alternatively if you get an email receipt (sometimes those get lost, especially in gmail), you can show that. If you are already a member or have made a purchase at GrishaStewart.com before, please log in with the user info you created.